Did you know that 9 roads out of 10 are asphalt? And in any economy, there is always a need for people to help build, repair and maintain those pavements. 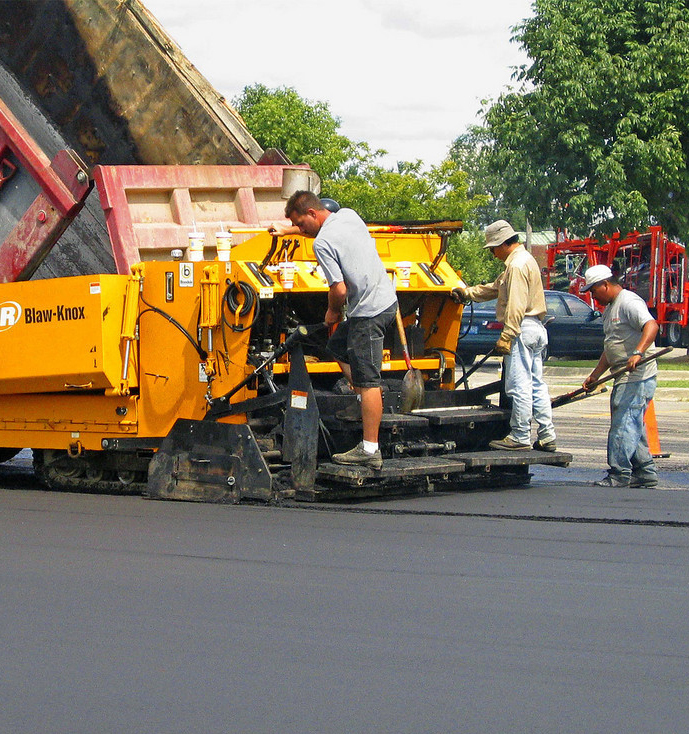 Our asphalt pavements are built by people like you, who live and work here in Wisconsin. Construction and maintenance of asphalt pavements could never be outsourced overseas. Is a career in asphalt right for you? Learn about the different kinds of jobs. Find out what kind of training you need and how to get it. See job openings in our area. Flint Hills Resources produces paving and roofing asphalt at its refinery in Rosemount, Minn. From the Pine Bend refinery, wholesale asphalt can be purchased and delivered via truck, rail and barge. In addition, asphalt, polymer-modified asphalt, asphalt emulsions, polymer-modified emulsions and cutbacks can be purchased throughout the upper Midwest via the company's extensive network of terminals.